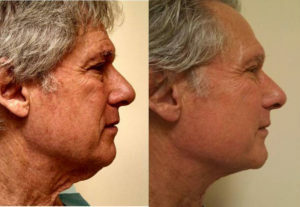 Facelift and Neck Lift Stem Cells - Luis A. Cenedese, M.D., F.A.C.S. Non surgical face/neck lifting/stem cell lift including fat injections, LASER and fillers are procedures used to rejuvenate the face and neck without significant incisions. Facial fat/stem cell injections not only build volume but smooth wrinkles and improve skin quality and color. Fat is suctioned from undesirable deposits in the arms, waist or thighs and purified. This results in a mixture of fat and stem cells which increase volume and improve contour and skin quality for many years. 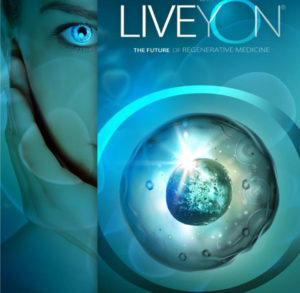 We add Stem cells to those harvested from the patient harnessing the regenerative potential of stem cells to restore and enhance the face,lips,neck, chest and hands. A facelift usually involves the removal of excess facial and neck skin, with tightening of underlying tissues and the re-draping of the skin. The technique has evolved from short incisions in front and behind the ears to longer incisions into the temple and neck hairline including elevating the muscle deep to the skin and the tissues overlying the facial bones. With the advancement of endoscopic techniques twenty years ago we are capable of performing face and brow lifts through shorter inconspicuous incisions in the hairline or inside the eyelids. The muscles and deeper tissues are thus elevated, stretched and sutured into position with special sutures. Not only does this decrease the visibility and shorten the scar, it also diminishes the likelihood of loss of sensitivity and diminishes swelling. Internal threads when used in conjunction with elevation of skin and muscle help to prolong and improve the results of face and neck lifting. Bruising, swelling and pain are minimal with patients looking greatly improved upon leaving the office. The procedure is technique dependent and of great value due to the avoidance of deep anesthesia and the years of lasting improvement. When injected with fat, lips however do swell for three days due to the typical need for lidocaine (local anesthetic) injection.